“Look at this! Do you remember?” Kavitha asked Sandeep looking at a photograph of their son. “Oh yes, this was right after he got his first toy car,” Sandeep responded. Their son’s laughter, his naughty pranks, his tantrums all played before them as they looked at several pictures. On his birthday, the parents were very grateful for the heartprints of their young son. A sudden mysterious illness and death had cast its vicious spell on the little boy a few years back. Even as they missed him terribly, Kavitha and Sandeep realized that those heartprints would stay with them forever. I’m taking part in the Write Tribe ProBlogger Challenge. The prompt for the final day of the challenge, Day 9, is ‘Heartprints’. The night was beautiful. Stars glittered in the sky watched by a full moon. The clouds had cleared after a downpour a few hours back. Shweta looked up from the balcony of Sagar’s apartment and smiled. It was just the perfect night for her date with him. “Do you want to hear some music?” Sagar asked while prepping the dishes. Shweta smiled and nodded her head approvingly. Soon the room was filled with soft, romantic tunes. Shweta felt very much at ease as Sagar arranged the plates on the table. The sound of Bon Jovi, however, sent a shiver down Shweta’s spine. When she realized the song was ‘Diamond Ring’, she panicked. Beads of perspiration lined her forehead and neck and she bolted out of the door. Sagar was clueless at this behavior from Shweta. This was very unlike her, he thought as he followed Shweta down the flight of stairs. When Shweta looked back to see Sagar pursuing her, she ran faster. She did not bother to stop. She somehow wanted to reach her place. Shweta could not respond. She felt claustrophobic. Her hands shivered and she doubled over on the floor. Alarmed, Sagar patted and consoled her. In a few minutes, Shweta seemed to recover. The colour of her cheeks returned and she was able to stand up. She felt a little embarrassed at her behaviour towards Sagar. “That was the same song the guy who molested me played that night six years back.” Shweta managed to say. She was struggling to holding back her tears. Sagar was speechless. He looked at her with empathy and smiled. Sometimes, music holds bad memories too, thought Sagar. He held Shweta’s hands in his and together they walked back to his apartment. My dark passenger is awake. Holding the reins of my mind. I feel a burning deep inside. Devouring everything in my vicinity. Is his reflection on my blood. Eating slowly away at my sanity. To halt the onset of depression. A sadness comes over me. And scare him away to a nook. But hides looking for his day. 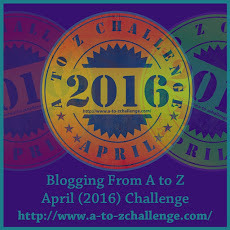 I’m taking part in the Write Tribe ProBlogger Challenge. The prompt for Day 7 is ‘Monster’. “Why don’t you come and sit in the front row?” the teacher asked when she saw the familiar face of Sumit towards the back of the packed auditorium. The lecture was about to begin. The teacher was surprised. She went up to him, smiled, patted his shoulder and turned back to start the lecture. It was a quote which inspired him to choose the battleground of courage over the sympathy of comfort. He would not allow paraplegia to be a deterrent. Ever. In spite of warnings before. For my act of disobedience. The teacher had her way. For not spreading my legs wide. Again, an act of disobedience. Because I did not fudge them. An act of disobedience, again. The dowry wasn’t followed up. Sigh, an act of disobedience. Right or wrong it doesn’t see. I’m disobedient – cast in stone. I’m taking part in the Write Tribe ProBlogger Challenge. The prompt for today, Day 5, is ‘Disobedience’. The old abandoned house atop the hill was a favorite hangout spot for Nidhi and Alok. They preferred meeting there most evenings. The sunset was one of the attractions. The other was the variety of birds chirping as they headed back to their nests. On rainy days, it was just pure bliss to see the water dripping through the leaves, giving the house a surrealistic feel. Today, as they stood beside the window on the first floor from where they could get a good view of the sunset, a rustling sound from somewhere inside the house disturbed them. When Nidhi and Alok looked back, they couldn’t see or hear anything at all. They brushed off the disturbance and went back to enjoying the sunset, taking pictures and selfies. A few minutes later, they heard the sound again. This time, when they looked back, they could just see a hooded figure roaming the house. Nidhi and Alok glanced at each other and followed the sinister figure. “Did you know this house was haunted?” Alok asked in a low voice. “Haunted? No way!” Nidhi wasn’t game for any such stories. “I heard a couple were murdered here in the 1970s. That was the period when this house was abandoned. But I haven’t heard any spooky stories yet,” Alok remarked. The hooded figure appeared again. They noticed that the hood was white. It seemed to flail its arms and walked as if struggling for balance. Nidhi and Alok could feel the tension build up. Suddenly, it disappeared into an adjoining room. “I guess it’s gone,” Nidhi said. “Yeah. Let’s leave too, it’s getting darker,” Alok suggested. “Are you afraid?” Nidhi pulled Alok’s legs. But when she looked in his eyes, she saw an incredulous expression. Nidhi followed his eyes and saw the hooded figure approaching them with quick steps. Both stood rooted to their position with bated breath. It appeared to watch them for a while and in an instant, came closer. Then, in a swift motion, the hood came off. It was Neeraj, a mutual friend, who was playing a silly prank on them. He gleefully accepted the admonishments from Nidhi and Alok before they had a nice laugh over what happened. The three of them then set off for the city, eager to munch on their favorite pizza. I’m taking part in the Write Tribe ProBlogger Challenge. The prompt for today, Day 4, is ‘Bated breath’. The spaceship’s current routine was perfect. Craig looked at the numbers on the screen and smiled at Vince, his colleague. They would be ahead of time to reach Terminal 2. A few minutes later, Craig manoeuvred the spaceship to dock up with Terminal 2 nicely and ensured the safety latch was in place. He and Vince entered the terminal and proceeded towards the supply room. He then pulled out a beautiful ring from his suit. The entire Terminal 2 was now watching on their screens as loud cheers erupted. I’m taking part in the Write Tribe ProBlogger Challenge. The prompt for Day 3 is ‘Terminal’.